Say how you feel–it's about time. 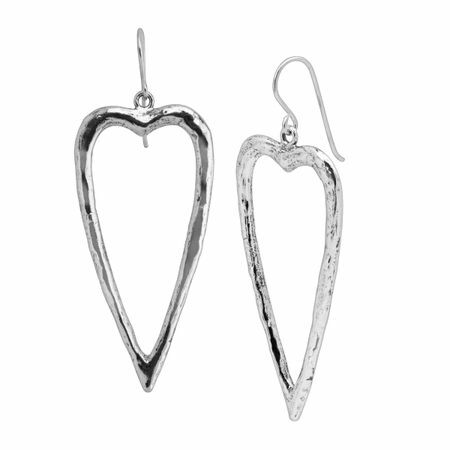 These heart-shaped drops are crafted in textured sterling silver for a creative touch. Earrings measure 2 9/16 by 7/16 inches and feature French wire back findings. Pieces come with “.925” sterling silver quality stamps as symbols of guaranteed product quality.